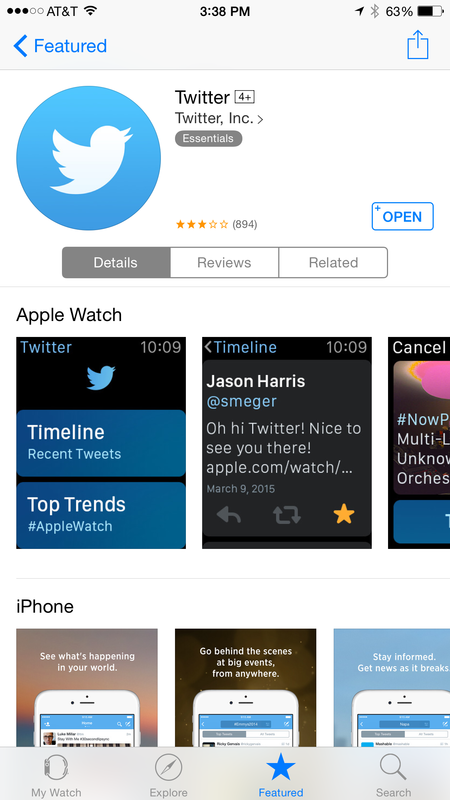 For a while now the Apple Watch app has had a non functioning tab labeled “Featured”. 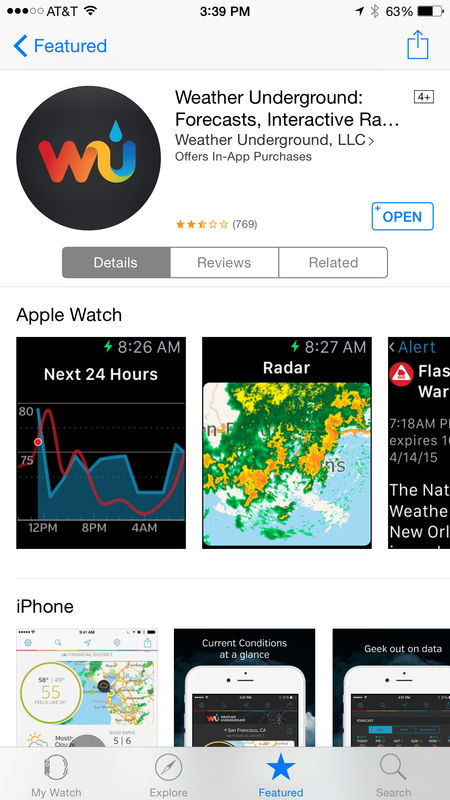 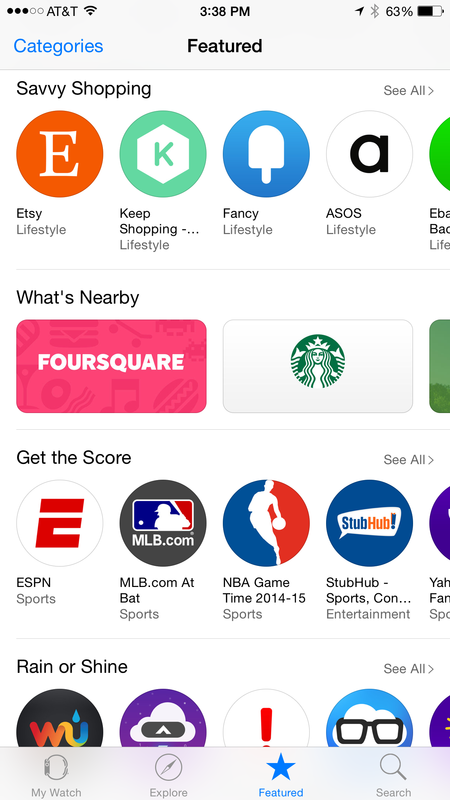 Now that Apple Watches have been delivered, the App Store styled page is up and running. 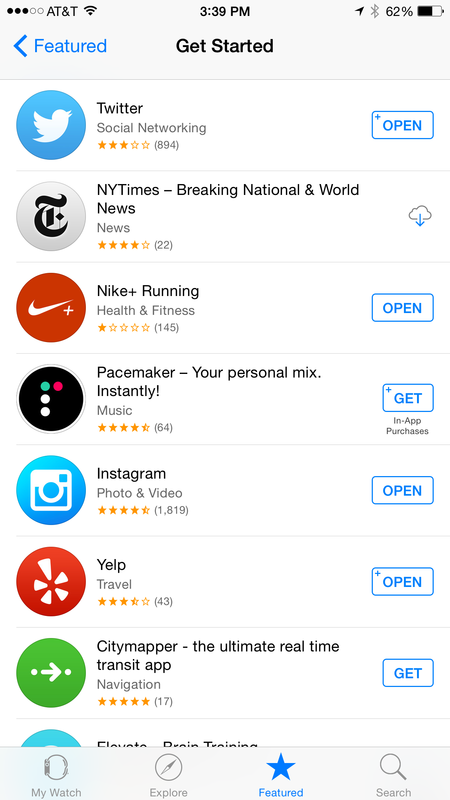 There are a few categories of apps and you can now see thumbnails of screenshots just like you can with the full iPhone/iPad apps. 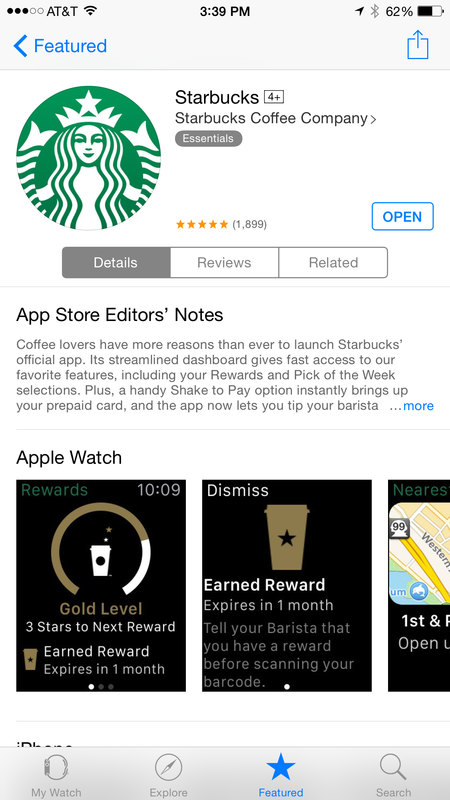 Just to be clear, these are not apps you just install on your Apple Watch, these are apps you install on your iPhone and then have the option of accessing from your watch. 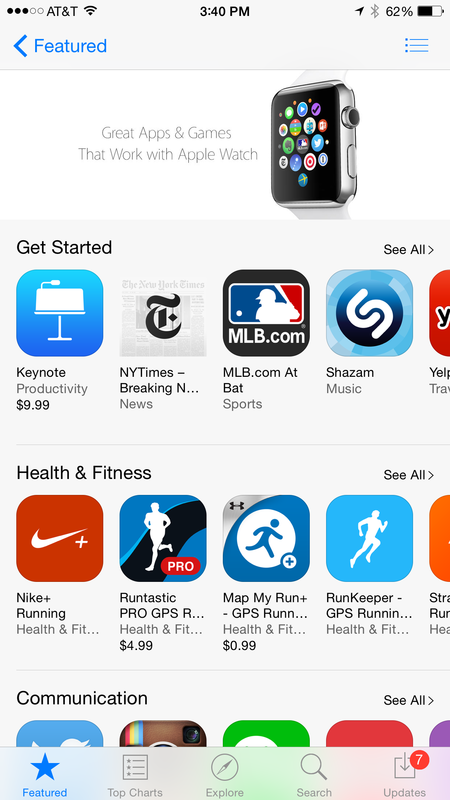 There are definetly apps I will not have on my Apple Watch, such as games, but it’s great to have a section highlighting all the apps that have Apple Watch companions. 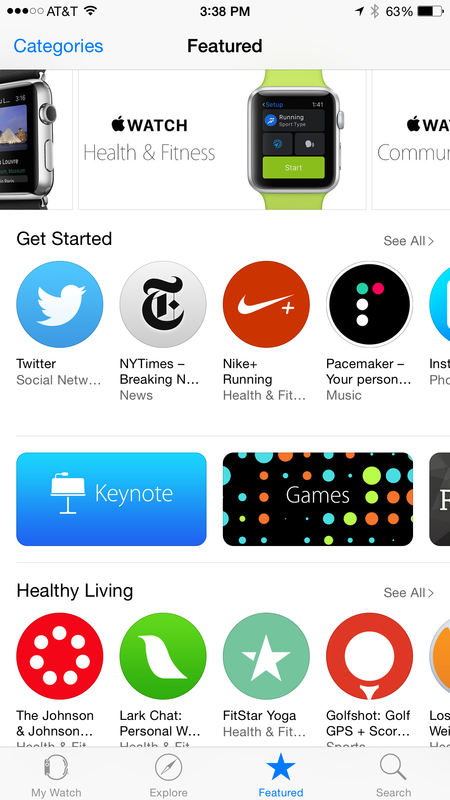 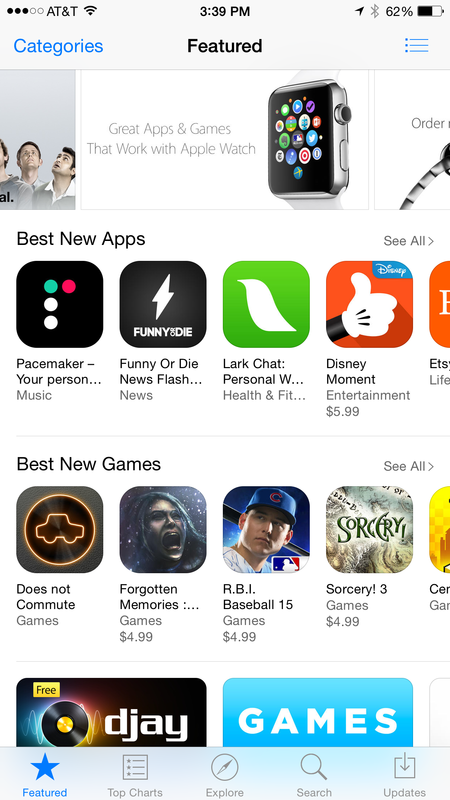 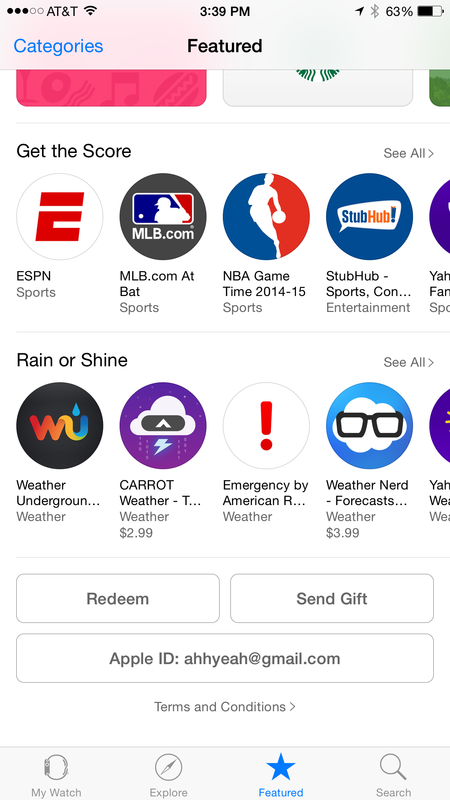 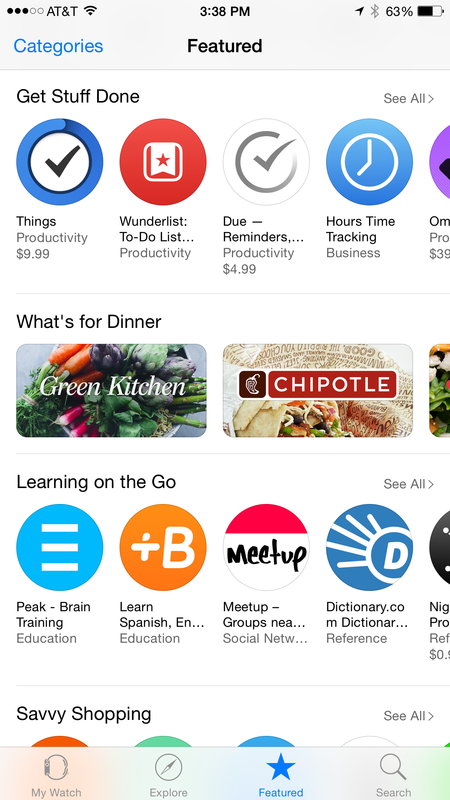 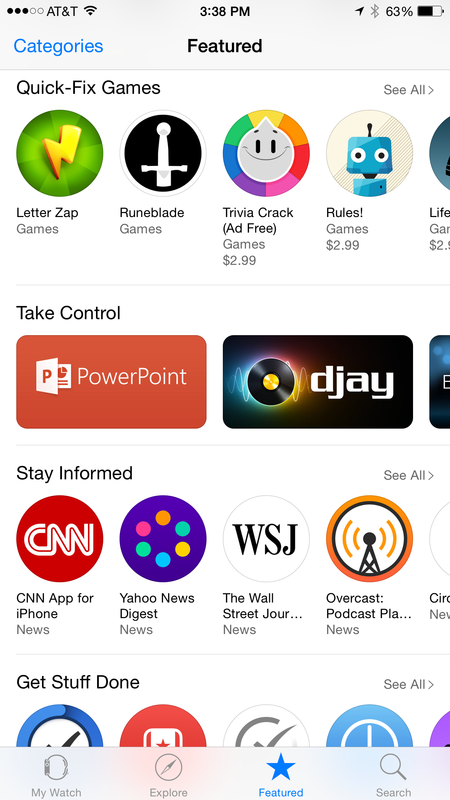 There is also a section in the App Store app highlighting Apple Watch apps.